Vladimir BOCEV, The Feast of St. Basil, 7' 50'', in Identity keepers, Skopje, Museum of Macedonia, 2009. Roumyana DANOVA, Protecting colours. 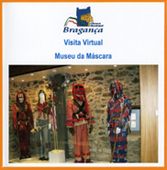 Masks, Amulets, Ritual art, Sofia, Multymedia library, 2006. 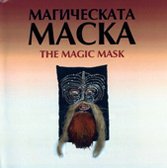 Iglika MISHKOVA, Roumyana DANOVA, The magic mask, Sofia, Multymedia catalogue, 2005.